Spring is in the air and everything around becomes brighter. Love is in the air, and the best way to start expressing your feelings is, of course, with a gift. Get into the spring spirit with mechanical models by Ugears. Made with natural wood materials, these sets are ready to be assembled into fine mechanical masterpieces. By giving a Ugears mechanical model, not only are you giving an excellent gift, but also, a reason to spend time together with your loved ones. 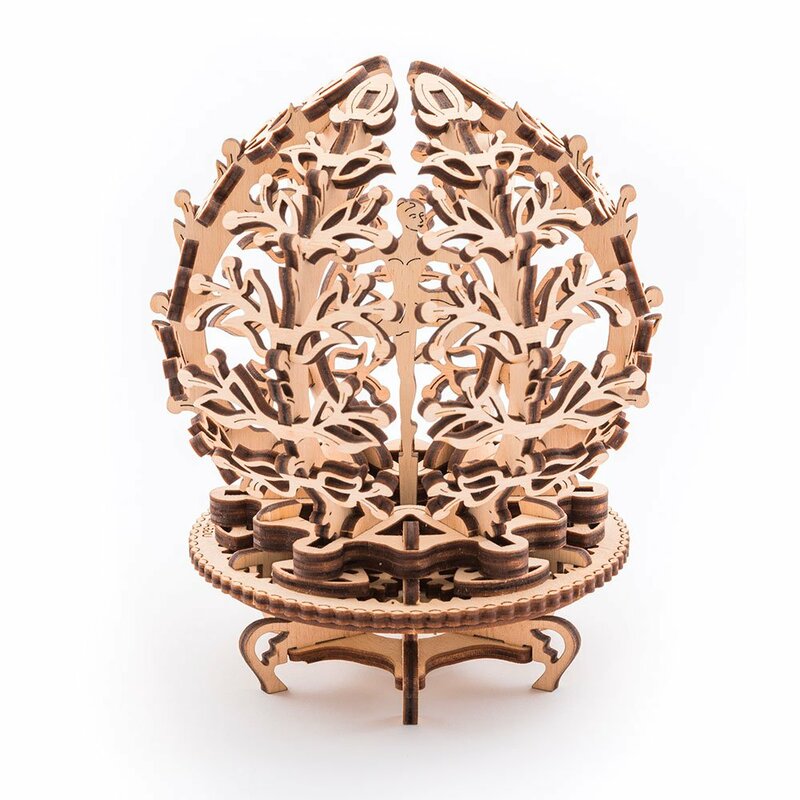 For example, a Ugears mechanical flower, that you can buy here. This model is a self-moving flower, with a delicate ballerina figurine inside. 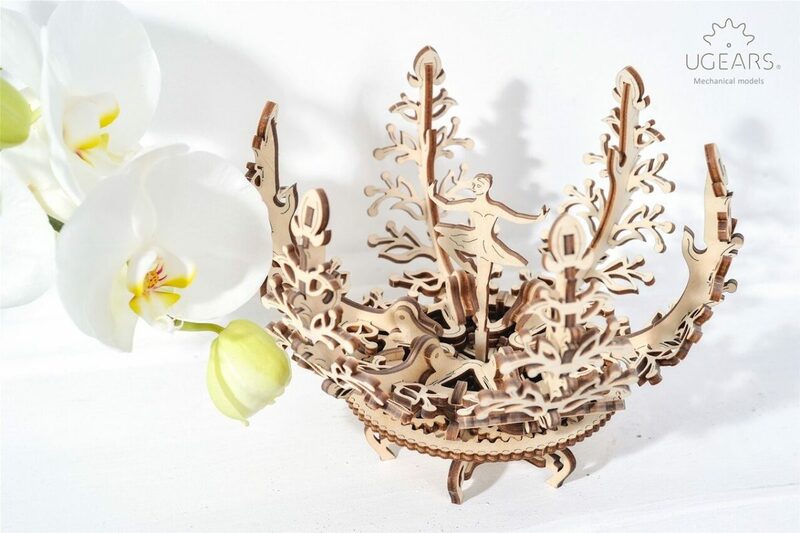 It consists of 101 pieces and guarantees an evening filled with fun and excitement, working together on assembling and enjoying a delicate and enchanting model, after the assembly is complete. Look more about models here. The petals of the flower open with a mere flick of your wrist. The design suggests smooth movement of opening petals, that reveal a delectable ballerina pirouetting in a beautiful dance! Place an engagement ring on the ballerina’s delicate wrist, and you’ll have a unique way to propose. You may find yourself perplexed with the number of pieces and seemingly complex design. Nonetheless, working on assembly of this model is a fascinating experience and detailed, easy to read instructions make the process that much smoother and more enjoyable. 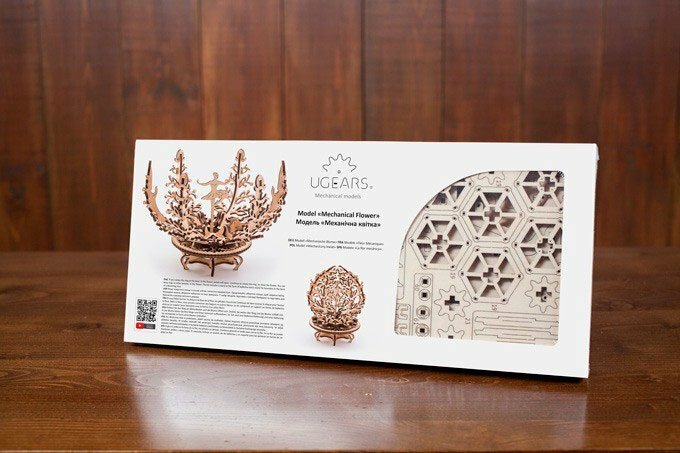 Ugears mechanical model collections offer an assortment of various sets, including, a treasure box; a model that will pleasantly surprise your sweetheart and will serve as an eye-catching, daily reminder of your feelings for her. She can use it as a jewelry box or a neat addition to her desktop. With a pretty locket or a pair of earrings inside and a side of a couple dozen spring tulips, it is sure to put her into a romantic mood. You can buy a treasure box here. All Ugears models feature real mechanical movement. This makes them different from all other similar model kits. It is exciting assembling and playing with them. The entire experience is both fun and educational. Set yourself and your loved ones into a romantic spring spirit with a gift of Ugears models!